Where a person lives certainly has an effect on people and their families. But have you ever thought about how it’s affecting your dog? The dog-friendliness of a city varies widely and depends on many factors. Several studies have been done to determine which cities in the United States are the friendliest for dogs. These studies – which were done by SmartAsset, Realtor.com, and WalletHub – took into account factors like the number of dogs parks, the number of pet friendly restaurants, number of pet caretakers in the city, and a variety of other factors to determine the top dog-friendly cities. But the lists are all a little bit different. What’s a dog owner to do when different cities show up on different lists? Well, we did the dirty work for you! 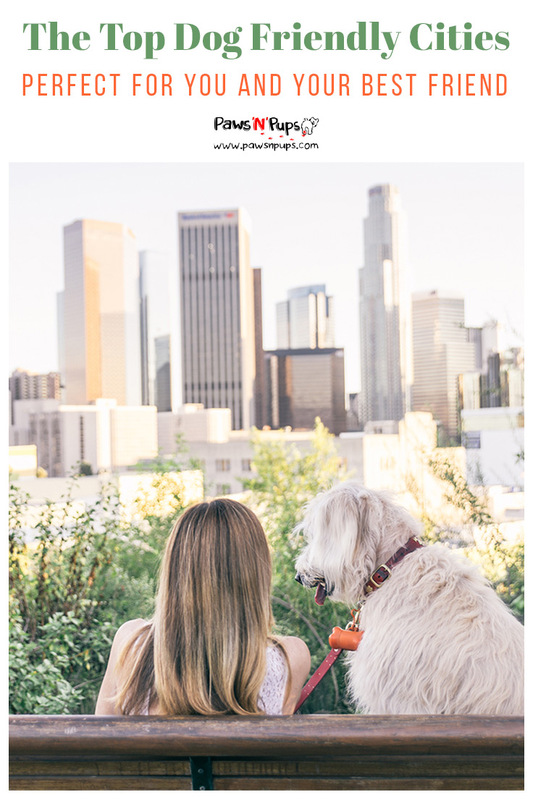 We compared the three studies – and even compared them to this list by Forbes – to determine the ULTIMATE five cities in the United States that are truly the best for dogs, and you of course! Las Vegas, NevadaYou might be surprised to see this city on the list. But we’ve actually featured Las Vegas as a top destination for vacationers and their dogs. So why not take the plunge and move there?Vegas was actually the only city from all three studies that was featured in the top ten. This is because they are one of the highest ranked cities for most dog parks per capita and for most pet businesses per capita. As if that weren’t enough, it hardly rains there! No rain means no wet dog smell. And no wet dog smell means a happy dog owner!In addition to these great assets, Red Rock Canyon National Park is less than a 30 minute drive from the Vegas strip. Take a break from the night life, and take a hike! With this great balance of outdoor adventure and quality resources, it’s no wonder Las Vegas was featured on every list. San Diego, CaliforniaSan Diego is another city that was featured in every study, but it didn’t make WalletHub’s top ten. But don’t let that turn you off! With its great California weather, multiple beaches, and plenty of hiking spots, this city deserves to be at the top of every dog lover’s list!In addition to the natural beauty of San Diego, there are also plenty of dog parks for you and your pup to play in. Add to that the seven dog-friendly shopping areas that feature over 1,000 pet-friendly stores, and you and your pup will never be bored!The tricky thing about San Diego is its walkability. But even though it ranks somewhere in the middle for this, there are more than 1,000 registered dog-walkers in the San Diego area. So if you don’t have time to do the walking, another dog lover surely will! Scottsdale, ArizonaScottsdale can be found in the top ten of two of the studies we looked at. The warm weather gives this city a great “outdoor friendliness” ranking. But more than that, pets here are healthy. WalletHub puts Scottsdale in the number one spot for pet health and wellness!But life isn’t just about doctor’s appointments. You and your dog are going to want to have some fun! Scottsdale boasts plenty of boutique shops for dogs, specifically for smaller dogs. 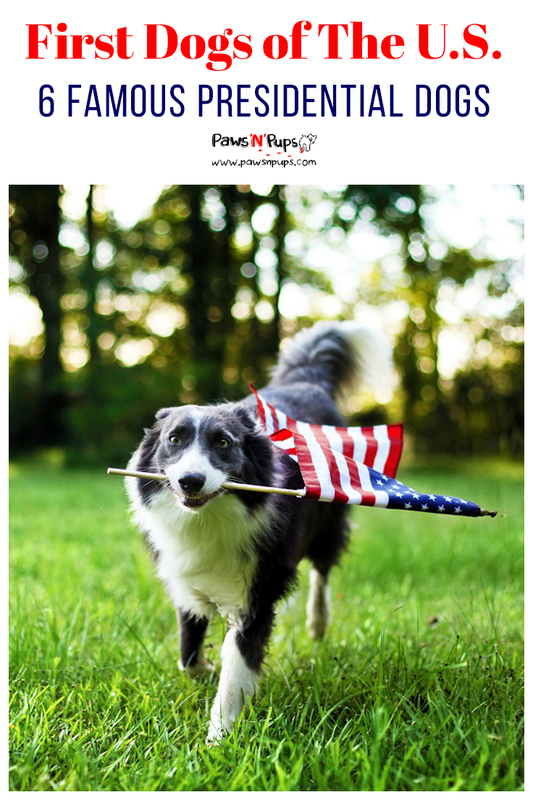 In fact, they are ranked one of the top cities for most pet businesses per capita! Many of these stores feature designer-inspired products for the fashion forward dog. And after a day of shopping, Scottsdale offers plenty of outdoor dining, including 20 bars where your dog can join you for a drink. You and your dog will be living the high life! 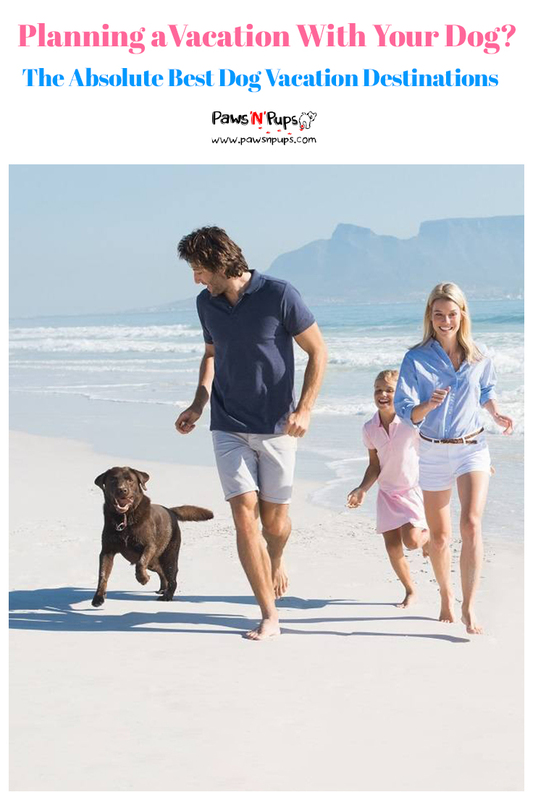 Tampa, FloridaAnother city that’s featured in the top ten of two of our studies, Tampa, FL is a fantastic city for dog lovers who crave the outdoors. With plenty of sunshine to be had, you and your dog can take advantage of their many off-leash dog parks all year round. It’s also a great place to live with your pet if you’re on a budget. WalletHub puts Tampa in the number ten spot for pet owners who don’t want to dish out too much cash.But some dog owners do like to spoil their pups. Lucky for them, Tampa has plenty to offer in that category. With numerous pet supply shops and boutiques, the dog that craves the good life will be happy in Tampa. And if you’re just shopping for yourself today, you can still bring your dog with you! Many stores in Hyde Park, an upscale, open-air shopping mall, leave water dishes out and supply dog treats for your furry shopping companion. What more could you ask for? Fort Collins, Denver & Colorado Springs, ColoradoBecause we love our readers, we decided to make the last spot on this list a 3-for-1 deal. Every study we looked at featured a city in Colorado – but each one picked a different city! To us, that meant that most any city in Colorado was going to be dog-friendly. What fun-loving dog could turn down all that outdoor adventure? But let’s take a look at the featured three.As expected from cities in Colorado, all three locations are highly regarded for their outdoor activities. Fort Collins has extensive hiking trails, four dog parks, an even areas where water-loving dogs can swim. Denver is noted for being fairly cold, but don’t let that stop you from playing outside! And Colorado Springs is ranked the number two city in the United States for “Outdoor Dog Friendliness.”Denver actually boasts one dog park with a unique set up: separate areas for high energy and low energy dogs. This is ideal for social dogs who are seeking friends at their own pace. And Spring Canyon Dog Park in Fort Collins has four separate areas for dogs of different sizes. So, did we convince you to move yet? Or perhaps now you’re thinking of taking a vacation to one of these doggy paradises? Let us know in the comments if you’ve ever been to one of these cities. We’d love to hear from you – and your dog! We love our dogs for their wonderful, and often goofy personalities and we try our best to capture these moments through photos and videos. Dogs can say a lot with just one look, but some seem to say more than others. 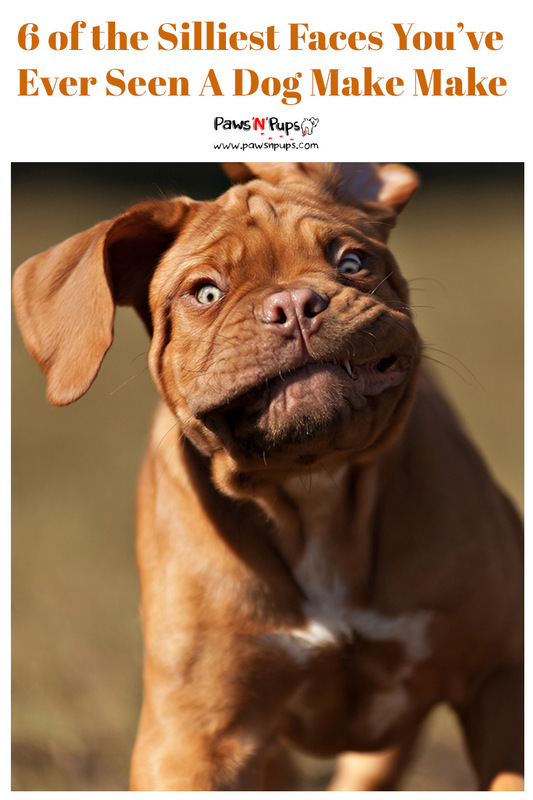 Check out these six incredibly silly dog faces – guaranteed to make you smile today! As a dog lover, maybe you’ve seen the show “It’s Me or the Dog” on Animal Planet. If you have, you’ve definitely seen the now-famous dog named “Stains” who appears to be experiencing a severe flashback while staring at a plate of cupcakes in this video.Clearly Stains just really wants those cupcakes and is trying with all his might to obey! The internet loved his silly face so much, several spoof videos were made. In this video, dramatic music is played while Stains looks longingly at the cupcakes. The emphasis on how badly he wants those cupcakes makes the face even more hilarious! Or how about this “flashback” video? The wide eyes on Stains’ face look as though he’s being reminded of some tragedy that happened to him long ago. Lastly, this video plays that up by making the joke that the sight of the cupcakes triggered war flashbacks. No matter what is going on in the dog’s head, we applaud Stains for being so obedient. Good dog! This video isn’t so much about the face that the dog is making – it’s about the face that’s always there! Marnie the dog has one of the silliest and cutest faces we’ve ever seen on a dog. This little sweetheart likes to go on adventures all over town, like this trip to Duane Reade she took with her owner.And if one adventure isn’t enough for you, check out Marnie’s entire YouTube channel. This little goofball goes all over the place, just loving life as a silly-faced dog! We’re happy to see that Marnie has such a fun-loving family to take care of her. She’s truly living it up! All dog owners know the look. You come home to find the trash can tipped over, or the couch cushion torn to shreds and there’s the dog, looking up at you with guilty eyes. The dog knows they did something wrong, but that guilty face is just too much to handle!Most dogs have mastered a good guilty face, but have you ever seen a guilty face like this one? Neither have we! This silly dog bares her teeth when she knows she has done something wrong. Perhaps she thinks she’s smiling? We’re not sure, but we know we love it! Of course dogs love to be pet. From belly rubs to ear scratches, dogs usually get a face a pure happiness when they are getting love and attention and we’re happy to provide it the love!Check out this funny face when this dog gets his ear pet – his lip curls in the silliest way that we’re laughing right along with the owner! The dog of course seems perfectly happy – perhaps even unaware of what is so funny. Who could complain when they are getting all that attention? Adding a dog to your family can be a big step. Adding a baby to the family is an even bigger step. Delivering the news of a future baby to family and friends can be very exciting, but how are you supposed to break the news to the dog?Well this dog isn’t sure he likes what he hears. In fact he seems downright shocked! And who wouldn’t be? Most dogs are used to being the baby in the family. Who wants to share that role? We’re sure this silly sweetheart did well with the new baby once he arrived. Congratulations! 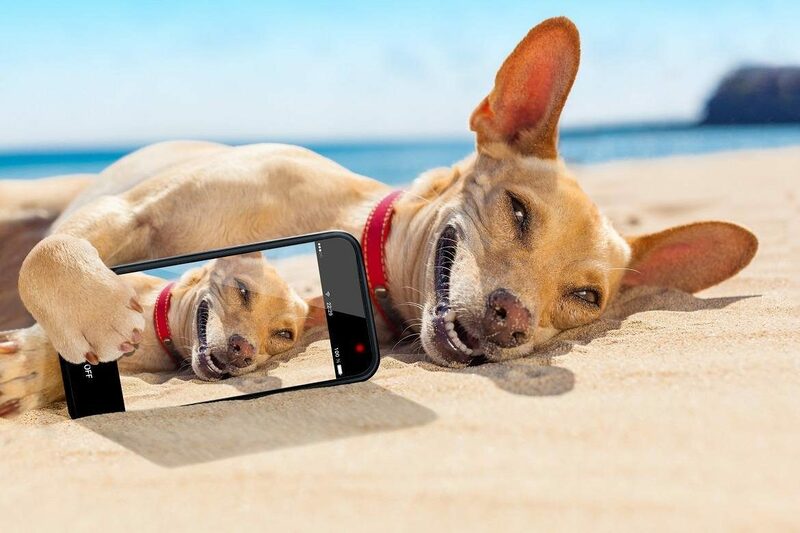 Is it just us, or is taking a picture of your dog never as easy as you want it to be? Once you’ve gotten your dog to sit still, they decide to look the other way. You try bribing them with a treat, and they get too excited. All you want is one adorable picture! What’s a dog owner to do?We find ourselves wishing that the dogs we take pictures of were more like this one. The big, goofy grin is infectious. No wonder the dog’s owner is laughing so much! We are too. And truthfully, we might even be a bit jealous. If every dog said cheese on command, we’d all have some pretty adorable family photos! Does your dog make any silly faces? Know any hilarious videos that we missed? Share them with us! By now you’ve probably let your pup taste dog ice cream, perhaps taken him for a ride in a doggie stroller or even dressed him up as your favorite character for Halloween. Just when you thought you’ve tried all of the products that have been adapted for dogs, we’ve found four new dog products that until now, we thought only humans could enjoy. Check them out! Wine for DogsYou’ll never have to drink alone again! Apollo Peak, a company that began as a winemaker for cats, has now expanded its repertoire to include wine for dogs. Right now there are two flavors dog owners can choose from: The CharDOGnay and the ZinfanTail.But wait…alcohol is bad for dogs right? Absolutely! That’s why all pet-friendly wine made by Apollo Peak contains no alcohol at all. In fact, it doesn’t even contain grapes, a food that is notoriously bad for dogs. If you are considering purchasing a dog-friendly wine made by a different brand, be sure to check the ingredients. You should never feed your dog grapes or alcohol. So what is actually in this wine? The wine is made with all-natural ingredients, and the dark coloring of the wine is actually derived from beets. The wine itself has a natural, calming effect on dogs. This is achieved through the use of herbs such as peppermint or chamomile. So while you relax with your human wine, your dog will be relaxing right by your side! A FitBit for DogsAs the company slogan states, “We couldn’t imagine a world where we monitor our own health but not that of our dogs.” Introducing FitBark, the first FitBit equivalent for dogs.You’ve probably heard of FitBit, and may even have one yourself. It is essentially a bracelet that tracks your daily activity and monitors your health. Humans can program the FitBit to track the steps they take each day, monitor their heart rate, and even monitor their sleep cycle. Now you can do all that and more for your dog! FitBark aims to help dog owners track their pet’s health, and even catch signs of illness early on. With FitBark, a dog owner can get an idea on things such as how much to feed their pup, how much exercise is appropriate for their size and breed, and even monitor their dog’s level of separation anxiety. The FitBark is connected to the dog owner’s phone, allowing for owners to monitor their pets while they are away from them as well. Dog SunglassesIf you’re already thinking of taking the plunge and getting your dog a FitBark, why not get them a nice pair of sunglasses too? After all, all that activity may require some protective eyewear!Called “doggles” these dog-friendly goggles actually have multiple uses. Some styles are meant for protection against the sun. Others like this mesh style are more appropriate for keeping out debris. There are also styles which may be suited for the dog who likes fast motorcycles or speed boat rides. 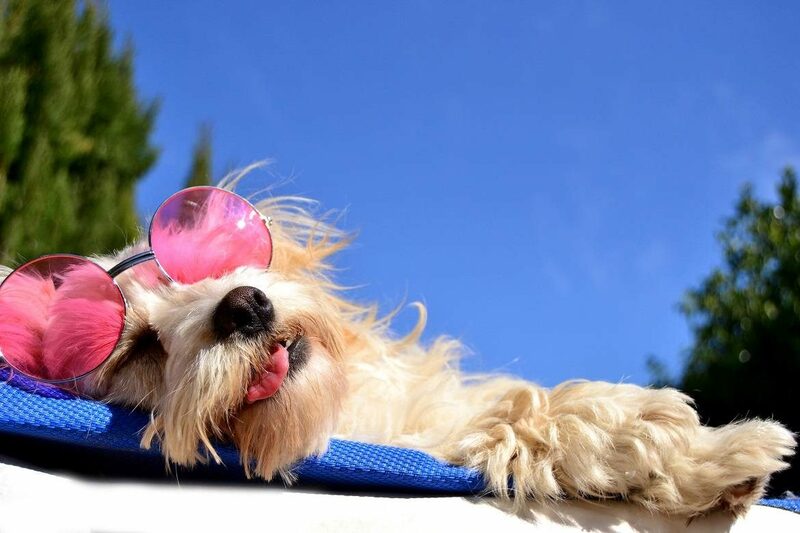 Whatever the occasion, these doggles are both functional and stylish. 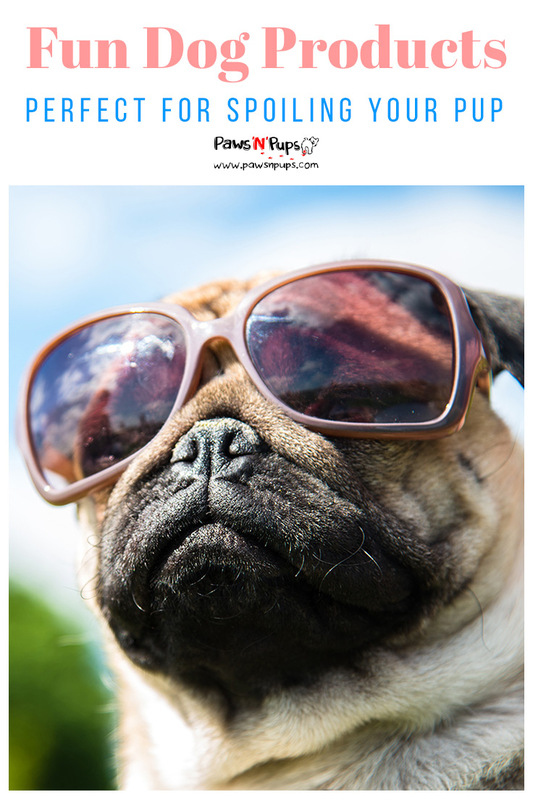 So if you and your dog are trying to up your cool factor, consider a pair of these canine sunglasses. Dog-safe TattoosGenerally speaking, tattoos for dogs are not a good idea. A real tattoo hurts to get, and might be extremely painful for your dog to experience. So how can you make a tattoo that’s safe for a dog?These dog-safe tattoos by New York pet groomer Jorge Bendersky don’t hurt a bit. In fact, they are just colored stencils on fur! Some even include small jewels that stick to the fur to add a bit of glamor. And on top of that, they only take about 10 minutes to apply! They are colorful, glitzy, and perfectly safe for dogs. The only downside? They can be a little pricey. With a $100 price tag you better be sure your dog isn’t rolling in the mud anytime soon! Bendersky uses the finest, non-toxic materials for these glamorous dogs. So even the most skeptical dog owner will know that it’s worth it! Has your dog been trying out a new product you thought was only for humans? Share it with us! While some may not admit it, we all spoil our dogs. Whether you slip your pup an extra treat at meal times or let them snuggle in your bed at night, it’s hard to resist giving our dogs the good life. But would you ever paint your dog’s nails? Or dress them up in a bikini? Check out these fun (and maybe a little wacky!) dog accessories some dog owners have fallen in love with. All are safe and fun for dogs. But would you try them? Take a look! Painting your dog’s nails is on the rise – for some dog owners, coloring their dog’s nails is a fun way to express their pup’s glamourous side. Some owners even choose to match their own nails to their dog’s!It’s important to note that human nail polish is not safe for dogs. If ingested by a dog, it can be toxic. If you’re interested in painting your dog’s nails, it’s important to buy a canine-friendly brand of nail polish. But don’t worry – they make plenty of colors! Even the well-known nail polish brand OPI is getting in on the game, making their own line of “pawlish” for dogs.As an astute dog owner, you may be a bit skeptical right now. Many dogs won’t sit still to get their nails trimmed, so why would they sit still for nail polish? It takes some patience, but once the dog realizes the polish doesn’t hurt, the process is a breeze! Painting your dog’s nails could end up being a fun bonding experience for you and your dog – and your pup will look great too! For those dog owners who aren’t keen on that “doggy smell,” puppy perfume could prove to be more useful than fanciful. In fact, some scented sprays are also designed to fight off fleas. Others are designed as a multi-purpose, scented spray, intended to treat your dog’s coat and skin after a bath.But spoiling your dog doesn’t have to be practical! And there are plenty of perfume products designed with the glamourous dog in mind. For instance, the brand Pupcake makes several different dog perfumes, all scented to smell like dessert. As if that weren’t enough, each scent is packaged in an adorable bottle!As with nail polish, it’s important to only use products that are labeled as dog safe. Human perfume may contain chemicals that could be harmful to dogs if it comes in contact with their skin or is ingested. Only opt for brands that are specifically made for dogs. With this in mind, your dog could be smelling delightful in no time! You might have the image of a bedazzled collar in your mind but trust us, this jewelry goes beyond your average collar. 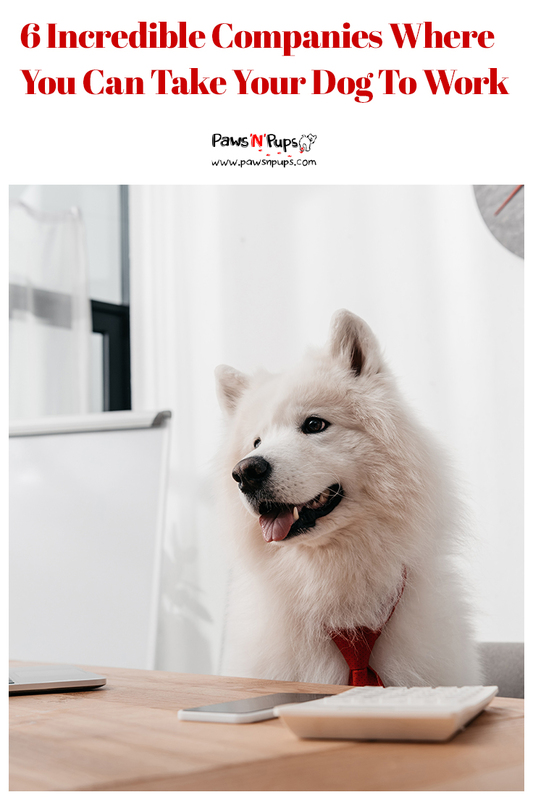 While you can certainly aim for practicality and purchase a collar that doubles as a glamorous accessory, some dog owners simply can’t stop there.If your dog is a total princess, she’s going to love all the jewelry options she has available to wear. While most of these dazzling products are necklaces, many jewelry items come as a necklace and bracelet set. But what about the little prince in your life? Never fear! Bow ties and neck ties have been made to fit the little dandy in your life.While jewelry and colorful ties on dogs can be a lot of fun, it’s important to remember that you should never take dressing up to the extreme. Some dog owners go so far as to get their dog’s ears pierced and even take them to the tattoo parlor. This practice has been banned in New York, but continues to occur elsewhere. There are many who believe this kind of body modification is cruel to animals. As a dog owner, it’s important to keep in mind that tattoos and piercing are painful procedures. Any modification to your pet that isn’t medically necessary should be reconsidered. Our dogs get dressed up in nearly everything else, why not swimsuits as well? In truth, a dog has no need for a swimsuit, and not every dog wants to wear clothes in the first place. But if your dog is the dress-up type, they may love strutting their stuff on the boardwalk in a bikini or swim trunks.A swimsuit for dogs should not be confused with a dog life jacket! A swimsuit is simply a fashion accessory that provides plenty of fun, but no safety or protection against drowning. On the other hand, a life jacket that fits your dog is designed to keep them afloat in case they fall off a boat or off the side of a pool. Be sure you know which one you are purchasing – and why! Have you tried out any of these fashion accessories? Think you might give them a try in the future? Share your stories about spoiling your dog – and maybe share a picture or two as well! Feeling the travel bug biting at your heels? Maybe it’s time for you to get away from it all! But packing up and leaving for a week can be difficult for a dog owner. Not every destination is pet-friendly. 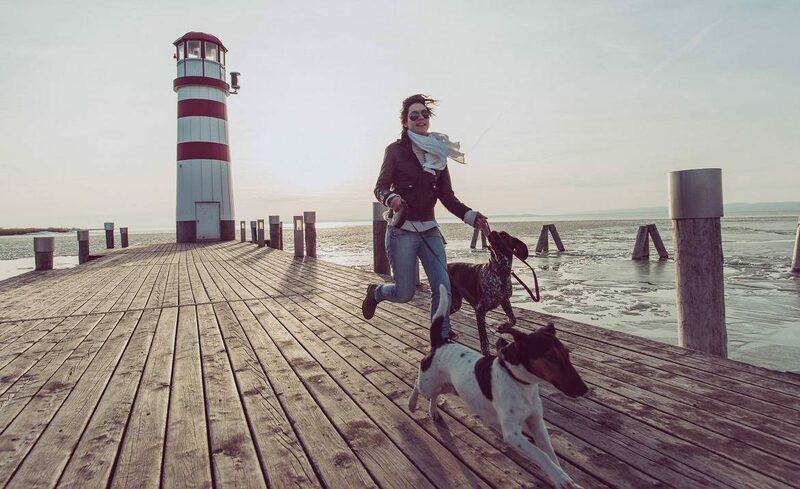 That’s why we’ve compiled this short list of places you and your dog can visit together. And these four vacation spots may surprise you! Now this one may truly shock you. Dogs in Walt Disney World? Can it be true? You bet it is! Families can bring their dog their Disney vacation. Walt Disney World in Orlando, FL has many options for accommodations inside the theme park. From luxury suites to value hotels, there is no shortage of places for a family to choose. Disney World even has a campground area called Fort Wilderness where families can pitch a tent, hook up an RV, and yes – even bring their dog! For families that bring their dog to Disney World, there is a dog daycare facility called Best Friends Pet Care for those who spend the day exploring the theme parks. The daycare even has overnight options! And when you have picked your dog up from daycare, there is an off-leash park for your pup to play in. There are also many on-leash trails in the Fort Wilderness area to take your dog on long walks. Of course, it wouldn’t be Disney World without certain ground rules! All dog owners are responsible for cleaning up after their pet. Dogs also are not allowed in tents or pop-up campers. All dogs must always be on their best behavior. Noise, aggression, or any other behavior that disrupts other guests and warrants a complaint to management will have to be removed to an off-site boarding facility or leave the resort altogether. So be sure your dog is well trained! Thinking of taking to the high seas? Has your dog developed that same sense of adventure? 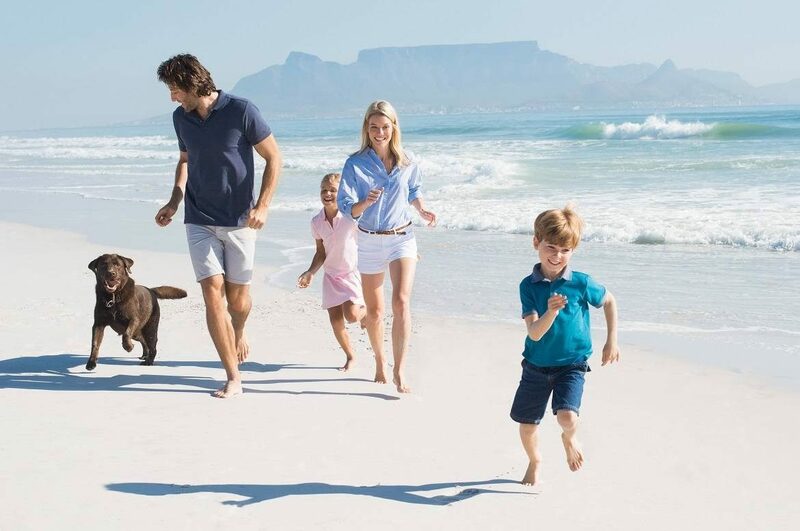 No need to leave your pup at home, so long as you are sailing with the Cunard cruise lines. Cunard’s ship the Queen Mary II travels between New York City and Southampton and has a comprehensive pet-friendly policy for dog-loving guests. 12 roomy kennels are available to dogs who are looking to set sail. These kennels are under the constant supervision of a Kennel Master, who feeds, walks, and cleans up after the dog while you have a chance to relax. Connected to these kennels are walking areas, both indoor and outdoor. These areas allow dog owners to visit with their dogs as often as they would like during their cruise vacation. As if that weren’t enough, each pet receives a complimentary gift package during their travels! Of course with only 12 kennels available, booking in advance is highly recommended. All traveling dogs must comply with the Pet Travel Scheme and have their very own pet passport. Las Vegas, NV may be the last place you think of bringing your dog. Between casino nights and bar hopping, you may think there isn’t much room for pet-friendly activities. But you may be surprised at the luxuries that are available to pets – particularly at the hotels. For starters, there are more than 75 pet-friendly hotels in the city of Las Vegas. Many of them are extremely reasonably priced at under $150 a night, and some don’t even charge a pet fee! But perhaps you are thinking of luxury? Never fear. Hotels such as the Delano, Caesar’s Palace, and the Bellagio all have pet-friendly policies. In one of these luxury hotels, cuddle time with your pup gets taken to a whole new level! Caesar’s Palace is one of 8 Las Vegas hotels owned by the Caesar company participating in the PetStay program. At Caesar’s Palace, a mat and food dishes are provided for your dog in the room. All dogs must be in a crate when left alone in the room, but crates can easily be rented through the front desk. And as long as your dog is on a leash, your best friend can walk through designated hotel common areas, taking in the sites with you! At the Delano, pet-friendly luxury is taken very seriously. 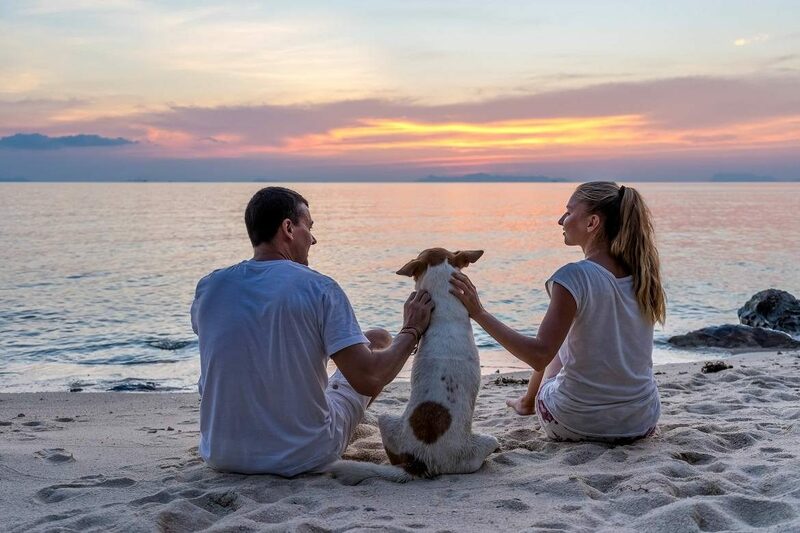 As their website states, “all dogs are treated with the same modern conveniences as their human counterparts.” This includes a special outdoor space for dogs, a dog-friendly menu, and even butler service for the pup! 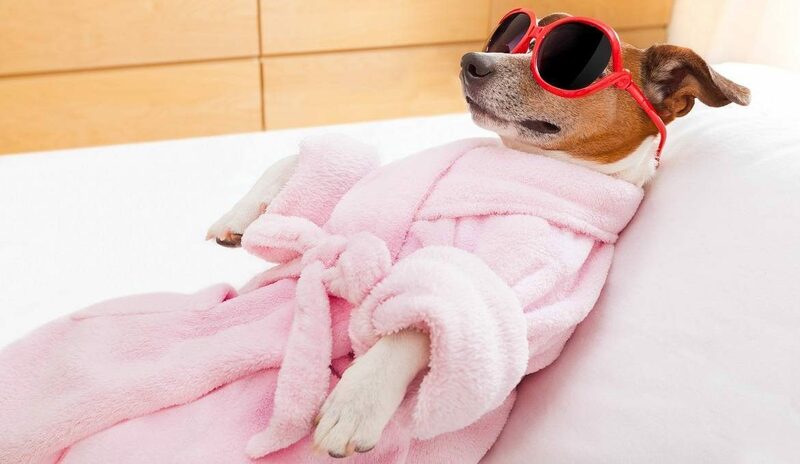 Butler service includes check-ins, walks, and even a bit of pampering for your pet. And if you need a pet sitter? Simply notify that front desk and arrangements will be made. The Bellagio is a bit more strict on their dog-friendly policy, but still accommodating to dog owners. Dogs cannot exceed the maximum weight of 40 pounds. Or you may bring two dogs whose combined weight does not exceed 40 pounds. Despite this, dog owners are still given the opportunity to request a dog sitter at any time. And though all dogs are required to be house-trained, the Bellagio staff is very understanding that accidents do happen. If an accident does occur, dog owners can call housekeeping to immediately take care of the mess. Don’t expect to be taking your dog to the Smithsonian or on a tour of The White House. But that doesn’t mean our nation’s capital doesn’t have plenty to offer our four-legged friends. For the history buff who can’t stand to leave their dog at home, luckily there are some options. 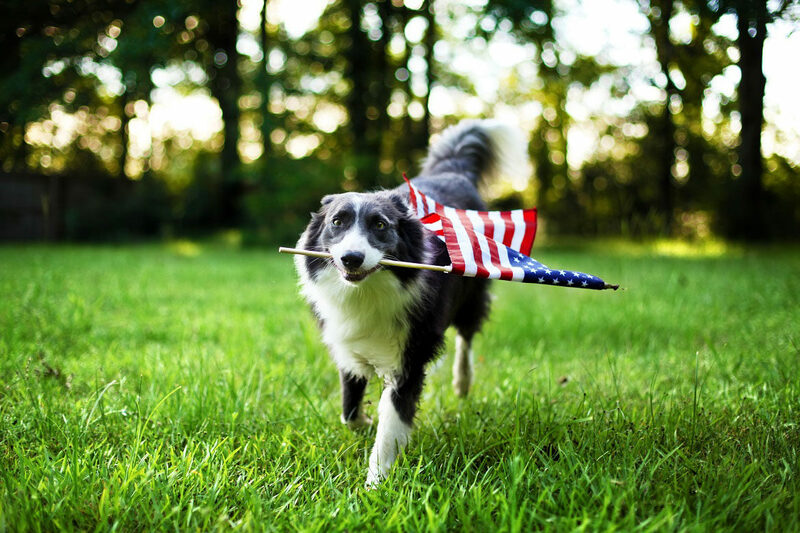 You can start by taking your pup on a walk down the National Mall. Though dogs must remain on a leash at all times, there is plenty of space for a long walk, a brisk run, or a lazy day of napping in the sun. And don’t forget to point out the Washington Monument! After that, you and your dog can visit the Lincoln Memorial together. Larger dogs will have to view the memorial from a distance, so thankfully the statue is gigantic. But if you have a small dog who can be carried, feel free to bring it up the steps for an up-close and personal look at our 16th president. Dogs are not allowed inside the memorial, but it is still something you can share with your pup. If you’re tired of monuments, consider visiting the Smithsonian – the Smithsonian Gardens that is! There are 13 different Smithsonian Gardens to choose from, and only two do not allow pets on the premises. For those of you seeking a wildlife adventure in an urban setting, consider walking your dog through the Urban Bird Habitat. If plant life is more your speed, you and your dog can stroll through Heirloom Garden or the Kathrine Dulin Folger Rose Garden. With all of the Smithsonian gardens open year-round, seven days a week, you and your dog are sure to find an adventure in one of them! Have you taken a vacation with your dog recently? What kinds of adventures did the two of you have? Share them with us! Summer or winter, there’s always a good time to read a book, whether it’s on the beach or cuddled up on your sofa. A little light-hearted reading is always good for the soul! 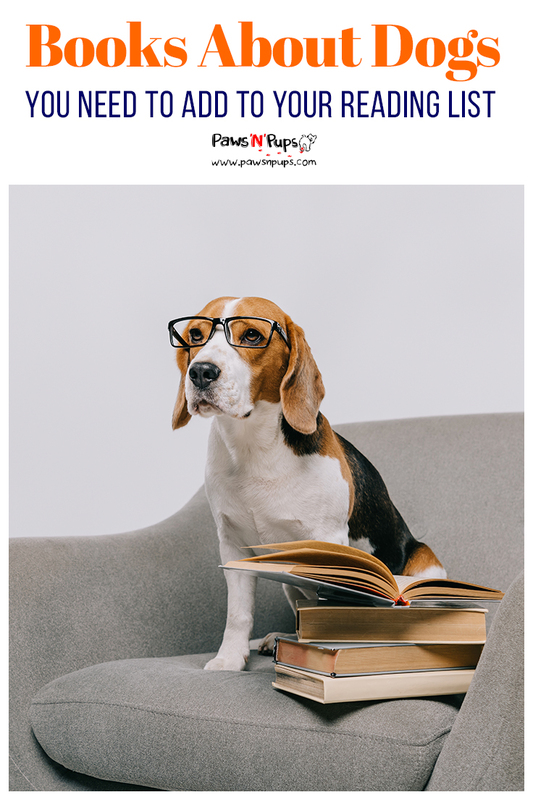 If you’ve been looking for a few good titles to add to your reading list, try out these dog-themed books! Oogy is the story of how one family came to adopt the “ugliest dog they had ever seen.” Larry Levin and his twin sons went to the veterinarian in 2002 to put their cat down – only to leave that very same day with a new best friend. Oogy, the dog, had been used as bait in dog fighting and was left for dead when he was just a puppy. The police came to his rescue, the staff at Ardmore Animal Hospital saved his life, and the Levin’s family gave him a fresh start. This New York Times bestseller is as heartwarming as it is inspiring. For any dog lover who understands the meaning of “who rescued who?” the story of Oogy is sure to hit home. Like many beautiful and heartwarming stories, this one starts with a deep tragedy. Tom Ryan’s friend dies of cancer, so he decides to dedicate his time to her in a unique way. He decides he will hike all forty-eight of New Hampshire’s four-thousand-foot peaks twice in one winter while raising money for charity. And he’ll do it while accompanied by his little canine friend, Atticus M. Finch. Following Atticus is not just a story about conquering the peaks, but a tale of the journey Ryan and Atticus have along the way. The friendship and the bond which man and dog share is unique and inspiring. The lessons that one little dog can teach a grown man are extraordinary. And if you can’t get enough of the saga or Ryan and his dog, check out Ryan’s blog. If you’re reading list is already pretty full this summer, consider at least adding this sweet picture book by Cynthia Rylant. Dog Heaven is the book that answers all the questions we have after reading stories like Where the Red Fern Grows and Old Yeller. Newbery Medalist Rylant offers comfort to anyone who has ever lost a dog. Through paintings done by Rylant herself, we see grand fields for running and tasty dog biscuits for feasting upon, all in dog heaven. Still popular since its first publication, this book is sure to bring tears of joy to the eyes of dog lovers everywhere. A book that stayed on the New York Times bestseller list for more than 150 weeks, this novel should be considered a must-read for all dog lovers. Told from the perspective of a dog named Enzo, this story tells the tale of a family that must learn to navigate a series of tragic ups and downs. Enzo’s master Denny is a race-car driver who suffers several family tragedies. And by his side is Enzo, a mutt who is simply trying to make sense of it all. The story is told with the kind of honesty and heart all dog lovers seek. A children’s version of the story was also published called Racing in the Rain, also by Garth Stein. This condensed version of the story is great for younger readers or older readers who are looking for a quick story to read. This Newbery Honor book has become a classic with children and adults alike. The story is about a young girl named Opal who finds a stray mutt at the Winn-Dixie supermarket – and decides to keep the dog and name it after the store. Winn-Dixie might be ugly but is as charming as they come. He even can smile with his teeth! That summer, 10-year-old Opal will make new friends, strange connections, and even grow closer with her family. And it’s all because of her dog, Winn-Dixie. This book is an easy read, being aimed at grades 4 through 7. But if you’re looking for something full of heart and hope, look no further. 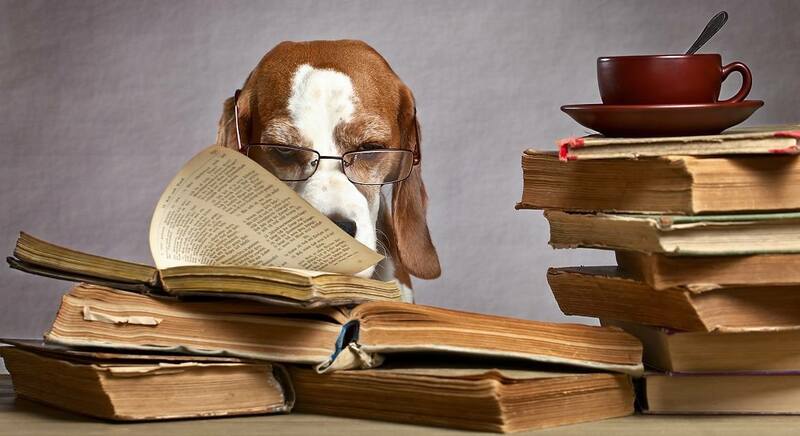 There are many, many, many more dog books worth reading that go beyond the five we listed here. What’s on your reading list right now? 5 Songs About Dogs: Building Your Summer Playlist Essentials! Pet owners pay homage to their dogs in all kinds of ways, and music is one of the most fun. Dog-themed songs and lyrics can be heard on the radio day and night, reminding us all what an important role pups play in our lives. If you’re still working on building your summer playlist, consider adding these five songs to the mix. They are sure to get any dog lover howling in no time! Any dog-themed playlist worth its kibble has to include “Hound Dog.” This classic Elvis Presley song is upbeat, catchy, and easy to learn with only 63 words repeated over and over to a fun, blues beat. The song itself isn’t technically about a dog, but rather comparing a person to a dog. If your plans for the summer include a dance party or a barbeque, this song is a must on your playlist. Guests of all ages will be dancing along to this timeless tune! It isn’t immediately obvious that this song is about a dog. With lyrics like, “Martha, my love don’t forget me,” and, “you and me were meant to be,” it’s easy to assume it’s about a woman. But in fact, Martha was not a woman at all. Martha was an Old English Sheep Dog belonging to Paul McCartney.Though Paul McCartney has since stated that the lyrics are more geared towards his ex, the inspiration is still drawn from his beloved dog. This song is a much more mellow addition to your playlist. Enjoy it while picnicking in the park, or catching some sun at the beach. Another necessity for a dog-themed playlist, “Who Let the Dogs Out” is about as upbeat and silly as they come. Though Rolling Stone ranked it third on a list of “10 Most Annoying Songs” it’s impossible to deny how infectious this tune by the Baha Men is. And for anyone who grew up in the ’90s and the early 2000s, this song has a serious nostalgia factor. Though all the songs on our list are kid-friendly, this one is probably the most fun for children. Any summer birthday party will be kicked up a notch when this tune comes on. Taking it down a notch, this easy, breezy song is about a dog. This song comes from Harry Nilssen’s album The Point! and is also featured in an animated movie of the same name. It is a story about a boy named Oblio and his adventures with his dog Arrow. And for all you fans of The Beatles out there, the movie was narrated by Ringo Starr! “Me and my Arrow” is a gentle tribute to everyone who has ever had a dog for a best friend. 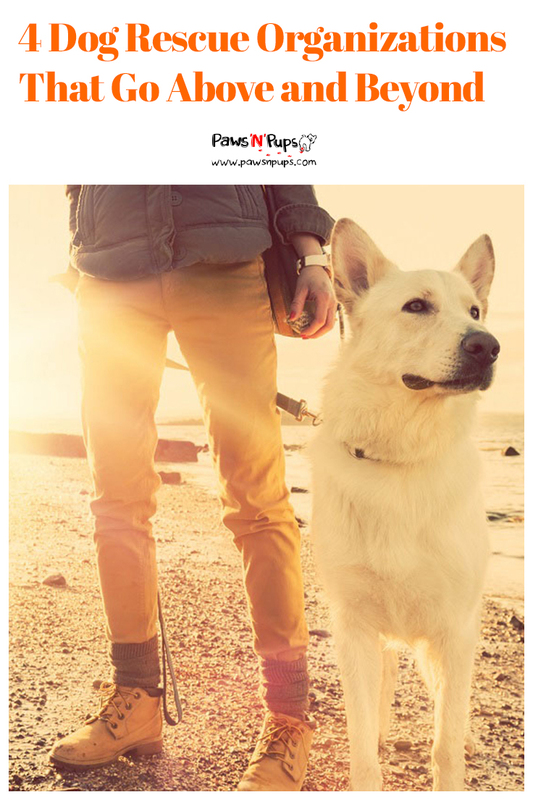 Play this song when you go for leisurely walks with your canine companion this summer. “Why Should I Worry” is a song from Disney’s Oliver and Company, and while it doesn’t technically mention dogs at all, it is sung by a dog. Well actually, that dog is voiced by Billy Joel, which makes this tune ideal for both adults and children. Dodger, the dog, sings about having no worries and no care because he has “street savoir-faire.” This song makes it fun to imagine what your dogs might be up to when they aren’t with their human companions. Turn this song up during those long, sunny car rides. You’ll be howling all the way to the beach! What are you listening to this summer? Any other dog-themed songs you keep on your playlist year-round? Tune us in! By now, the Obamas’ dog Bo has become a household name. The Portuguese water dog was given to the family as a gift early during the President’s first term. Though Bo is still considered the First Dog, he now shares the White House with another Portuguese water dog named Sunny. These two dogs have captured the hearts of all dog-loving Americans. But they certainly haven’t been the first to do so! Though almost every president has owned a pet of some kind, we’ve chosen six of our favorite dogs that have lived in the White House throughout history. Teddy Roosevelt kept a whole menagerie of pets in the White House, including snakes, a pony, a one-legged rooster, and even a hyena! But the most beloved pets during the TR years were certainly the dogs. And Rollo was chief among them. Rollo was a giant St. Bernard that was given to the family by Alfred S. Rollo, who the dog was eventually named after. But the truth was that Roosevelt didn’t want the dog at first. He wrote to Mr. Rollo, stating that they didn’t have the room and already had too many dogs. In the end, Rollo the dog won him over.The St. Bernard’s charm came from his gentleness with children. Despite being nearly 200 pounds, the kids were able to roughhouse with the dog and never upset him or come to any harm. Rollo never so much as growled at the children. At the time the Associated Press called Rollo the Roosevelt’s “most interesting pet.” He was equally friendly with guests and other White House visitors but was forever devoted to Roosevelt’s six kids. Laddie Boy is the first First Dog to be regularly featured in newspapers and other press. He was an Airedale Terrier belonging to Warren G. Harding and his wife. Laddie Boy’s fame grew in part due to Florence Harding’s dedication to animal rights issues. Florence had a deep concern for the welfare of abused and neglected animals. Laddie Boy became the face of the issues Florence called attention to.And Laddie Boy’s fame grew. Birthday parties were held at the White House for him. A special chair was fashioned for the dog so he could sit in on cabinet meetings. The newspapers at the time even wrote up mock interviews with Laddie Boy, pretending he could speak with the press. Laddie Boy was involved in nearly every aspect of President Harding’s life. After President Harding’s death, a sculpture of Laddie Boy was commissioned to commemorate Harding. The sculpture was made out of 19,000 pennies all donated by newsboys in honor of Harding’s days as a newspaperman. Laddie Boy sat for the sculptor a total of 15 times before it was completed. The statue is now in the collections at the Smithsonian Institution’s National Museum of American History. It was Gerald Ford’s daughter Susan who decided to give her father the gift of Liberty – the golden retriever that is! Susan Ford got White House photographer David Hume Kennerly to help her find the perfect puppy for her parents. When Kennerly contacted the breeder, he didn’t want to reveal the dog was intended for the President of the United States. The breeder asked a lot of questions – and was even skeptical about the prospective family! That is until Kennerly finally revealed who Liberty’s new family would be. Then the breeder was thrilled! Liberty adjusted well to the White House, and Ford adored her immediately. Often Ford was the one taking her for walks. After some time, the family decided to breed Liberty with a golden retriever from Oregon. The nine puppies were born right in the White House. Four of the puppies were given away as gifts, three were purchased by friends, and one was given to Leader Dogs for The Blind. And the last puppy? The Fords decided to keep her.Misty, the puppy, grew up in the White House, playing and exploring alongside her mother, Liberty. She tended to get herself into trouble though! Ford’s wife Betty has memories of Misty and Liberty picking up important documents off of the floor with their mouths. Misty also eventually became a mother, following the tradition her mother Liberty started. Rex was not the first dog the Reagan’s brought into the White House, but he was perhaps the most memorable. After sending their high-energy Bouvier des Flandres named Lucky to live at their California ranch, the Reagan’s were left in the White House with no dog. That is until William F. Buckley gave the Reagan’s a little Cavalier King Charles spaniel as a gift. Rex, though small, was a bundle of energy. He could often be seen pulling President Reagan along on the leash. Some suspected this was Reagan’s way of avoiding reporters! Many people also reported hearing Rex barking incessantly – outside of the Lincoln Bedroom. The little dog refused to ever set foot in the bedroom, which is rumored to be haunted. He was constantly barking at something only he could see.The little spaniel was certainly spoiled. One of his first official duties as First Dog was to flip the switch that lit the Christmas tree in 1985. Later on, he was given the gift of a custom-designed dog house. The house was designed by Theo Hayes, the great-great-grandson of President Rutherford B. Hayes. The house even featured tiny portraits of the Reagan’s hanging on the inside! Buddy the chocolate Lab didn’t arrive on the scene until Bill Clinton’s second term when he decided to bring the 3-month-old puppy into the White House. The two became fast friends. But Buddy wasn’t the only pet in the White House during the Clinton administration. Socks the cat became Buddy’s rival, and the two animals became famous for their feuds. When Buddy first arrived at the White House, Socks famously hissed at the puppy on the White House lawn.The public loved both of them though. Fan clubs sprung up across the country devoted to Buddy. The dog received many letters from children across the United States. Hillary Clinton published a book of the letters their pets received called Dear Socks, Dear Buddy: Kids’ Letters to the First Pets. The proceeds from the book were donated to the National Park Service. Buddy was always playful, friendly, and eager to make a friend. Tragically, his friendly nature is what ultimately caused his death. After Bill Clinton’s second term, Buddy was living at home with the Clinton family. He ran to greet a contractor and was hit by a passing vehicle. The accident was deeply saddening, but Buddy will always be remembered for his playful spirit. Do you have a favorite First Dog? Is there a breed you would love to see living in the White House someday? Share it with us! Employee happiness is more important than ever, and the perks that big name companies offer proves the point. From free snacks to free beer, workplaces have put a priority on employee satisfaction. But one of our favorite perks is the benefit of bringing your dog to work. Check out these six companies that have excellent, dog-friendly work policies. In addition to that, the policy reminds employees to be mindful of allergies and to always clean up after accidents. With these rules established, employees can relax and enjoy the benefits of dogs in the workplace. Perfect for a playful company like Google! Dogs in the office of an ice cream company? You bet! Ben & Jerry’s has had a comprehensive policy on dogs in the workplace since 2000. The policy states that no dog is allowed in conference rooms, lunch rooms, or bathrooms. Common areas like those are off-limits to canines with the intention of respecting employees who may be allergic or scared. Dogs must remain within their designated cubical space and utilize the designated bathroom areas. 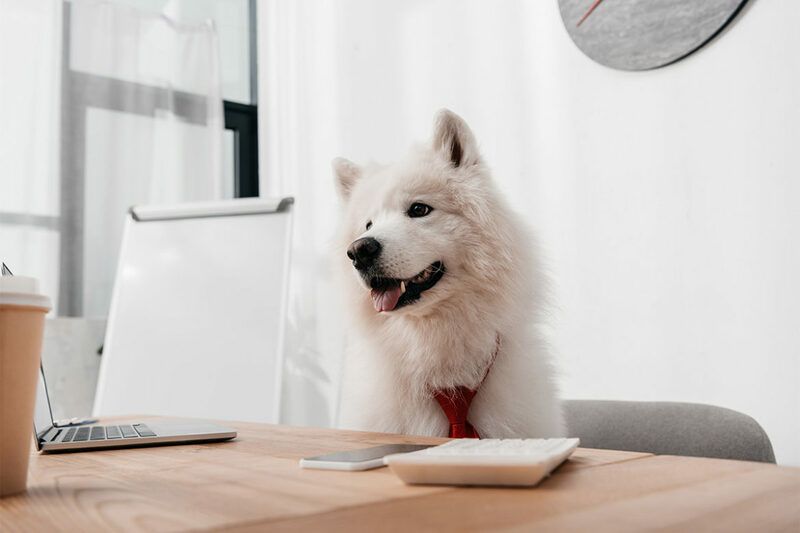 By keeping all employees comfortable, dog owners who bring their pets to work can enjoy the benefits of lowered stress and improved moods with their dogs by their side. Of course, if you have your own Etsy shop, you can bring your dog to work every day! But the Etsy headquarters in Brooklyn, NY has been a dog-friendly workspace since 2005. Ironically, Etsy’s employee experience manager isn’t a dog lover at all but is a big advocate of the policy. “They make people smile almost universally, and I think they allow anxiety to diffuse when they suddenly skitter by,” Sarah Starpoli said on their blog. The dogs also help to inspire a sense of community within the company, something that strengthens the workplace as a whole. Amazon is another big-whig in the business world with a comprehensive dog policy. 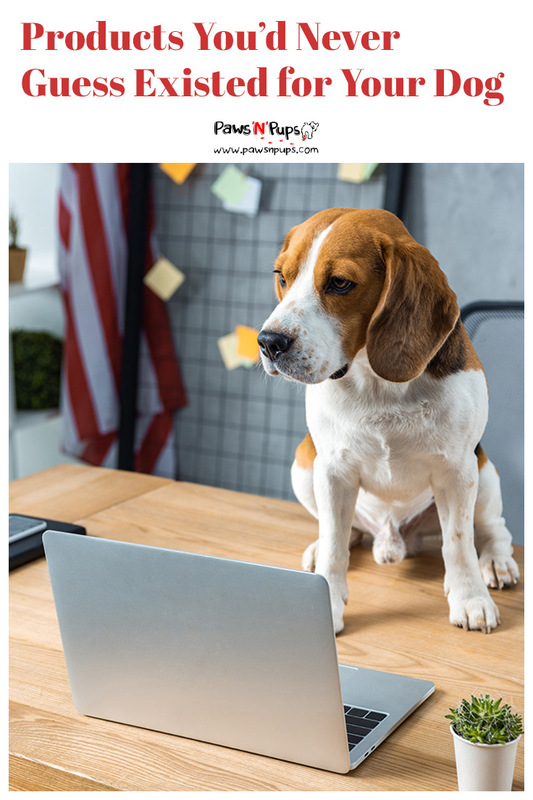 Employees who are interested in bringing their dog to work have a few things to check off their list before their pup can join them in the cubicle. This includes getting permission from fellow employees and supervisors, in case someone is allergic or uncomfortable. Once the dogs get the official okay, they are made to feel incredibly comfortable at Amazon’s Seattle headquarters! With doggie water fountains and poop bags stationed throughout the landscape of the office, everyone is made to feel happy. In 2015, there were plans underway to build on on-site dog park! Amazon stays on the cutting edge in every way possible. It stands to reason that a company whose business is all about making furry friends should have a great furry friends policy! And it’s a popular one. Fortune 100 has named Build-a-Bear one of the top 100 companies to work for three years in a row. Part of the great dog-friendly policy includes fantastic, dog-friendly birthday celebrations. Dogs are given canine-friendly treats during party time. Build-a-Bear even has a chief executive dog named Milford who throws his own office birthday party and invites all his dog friends. Furry friends are clearly taken very seriously here. Because Clif Bar is such an environmentally focused company, much of the benefits for dogs revolve around the great outdoors. With so many dogs arriving at work each day, lunch breaks tend to look more like dog daycare. Employees can often be found walking with their dogs together, throwing a frisbee, or enjoying the large off-leash area the pets have access to. Employees also benefit from a pet health insurance discount, a perk that can be hugely helpful for those expensive veterinary bills. Didn’t think that was enough? Employees get paid time off for volunteering for animal organizations. Keep up the good work Clif Bar! Do you work somewhere with a dog-friendly policy? If not, would you like to see one at your workplace? Tell us about it! You’ve heard it before: adopt don’t shop! 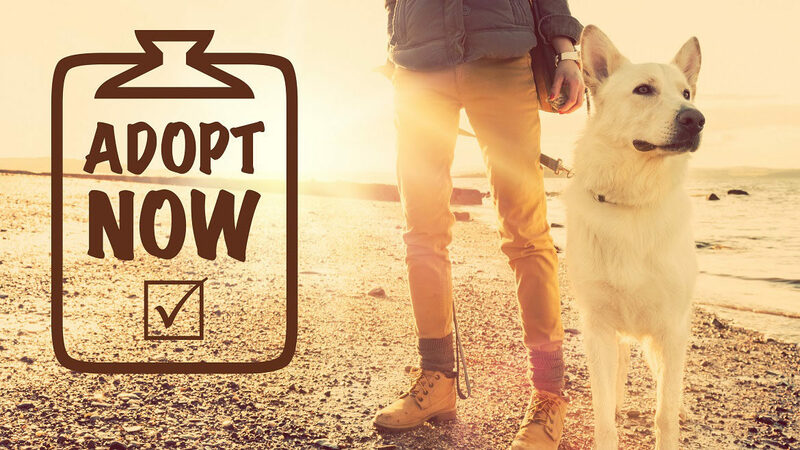 Adopting a dog in need is a wonderful option for future pet owners who are looking for a unique friend they can give new life to. But if it weren’t for dedicated rescue organizations, those adoptable dogs wouldn’t even be around to tell their harrowing stories. Below are four of our favorite (and very creative!) rescue groups that are pulling out all the stops to save our dogs. Post Traumatic Stress Disorder in American veterans is a very real, very challenging disorder to cope with. K9s for Warriors provides service dogs to army veterans who are coping with PTSD, traumatic brain injury or military sexual trauma. These dogs are able to assist the veterans in returning to regular civilian life by helping them build confidence and offering support. As if that wasn’t fantastic enough, 95% of these dogs are rescued from shelters. Not only are veterans gaining a new life, but so are their canine companions. The organization is only five years old, but they are making huge accomplishments every day. Currently, they hope to pair 12 warriors a month with a service dog! In just five years, K9s for Warriors is definitely making a difference. Just check out their testimonials page for a glimpse at how life changing this organization has been for veterans across America. When considering the prospect of rescuing dogs, the biggest concern is often housing. But a lot of people forget about transportation! That’s where Pilots N Paws comes in. They’re a community of volunteer pilots who offer to fly dogs for the purposes of transporting them off of the streets, from kill shelters to rescue groups, and even from rescue groups to a new home. Transporting dogs can certainly be an expensive endeavor, so for volunteers to offer their time to fly these dogs is a huge asset to rescue groups. On their website, there is a place where a flight for a dog can be requested. The forum on their site serves as a place where pilots can swap stories, coordinate schedules, and recruit volunteers. And there are plenty of stories to be had! Like this one about a couple who transported nine dogs and cats from Virginia to New York. Or this incredible rescue mission that involved ten pilots and 167 dogs and cats! These devoted pilots give up several days at a time to ensure the safe transport of dogs to better lives. The goal of Old Friends is to give new life to the dogs that often get overlooked: the seniors. According to their website, many senior dogs get passed over for adoption due to their shorter life expectancy and potential for high veterinary costs. Old Friends is a Tennessee-based rescue group that aims to change the misconception that senior dogs do not make ideal pets. While the dogs wait patiently to find their forever homes, these pups are given the royal treatment at Old Friends. The dogs have plenty of space both outdoors and indoors to play, nap, relax, and just live out their days happily. This video showcases just how lucky these dogs are to be waiting for their forever homes at Old Friends. One of the ways Old Friends encourages the adoption of their dogs is by showcasing their fabulous personalities. Their Facebook page features hundreds of photos of the dogs, giving daily life updates, and showcasing the dogs’ personality quirks. Recently, Old Friends even launched a presidential campaign! The campaign video features Mildred the pug strutting her stuff in a red, white, and blue bandana. We love that Old Friends works hard to give these golden oldies the best retirement years a dog could possibly have. If you can rescue dogs, why not rescue people too? New Leash on Life takes unwanted dogs who are at risk of being euthanized and pairs them up with prison inmates, giving both the dogs and the inmates an opportunity for a fresh start. The rescued dogs live with the incarcerated inmates for 12 weeks, 24 hours a day, seven days a week. New Leash on Life teaches the inmates how to train, socialize, and care for the dog they are assigned to. The dog becomes a highly desirable and adoptable pet, and the inmate gains skills that can be applied to a future job once they earn their parole. New Leash on Life even provides internship opportunities for inmates seeking work in the animal care field. Dogs that go through the training program with inmates make wonderful pets and are successfully adopted to families. The program is so successful many of the dogs go on to work with owners who are coping with autism, a recent stroke, or depression. New Leash on Life has responded to this success by launching a new program in 2014 that specifically prepares dogs with the skills for helping people in need. Keep up the good work! Is there a rescue group in your hometown doing great work for your community? Share it with us!